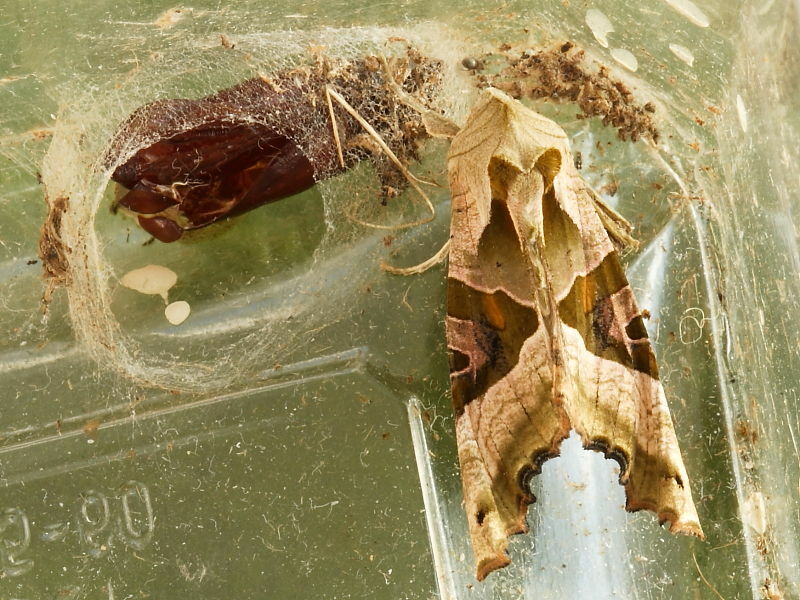 This Angle Shades moth emerged from its pupa on the 11th April. The caterpillar was found in the garden on March 8th and brought inside to rear through. Despite being an easily reared species and one that is both common and fairly easy to recognise as a caterpillar it’s always pleasing to see a species emerge that was expected! It has been known for a species to emerge that was, shall we say, not entirely anticipated! More information on Angle Shades.